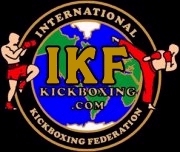 IKF Referee: Dan Stell & Vichai Supkitpol "Kru Rex"
Anthony Phan has been issued a 30 day no training and 45 no competition Medical Suspension until May 14th, 2015. Referee: Vichai Supkitpol "Kru Rex"
defeated **Merrick Dugger (Sacramento, California, USA, 0-1, 65.4, 4'3", 2-21-06, Garrett Dugger, (916) 296-3127) by unanimous decision, 30-27 on all 3 judges cards. and David Gonzalez (Los Angeles, California, USA, --- 10, Ekyotin Gym) did a 3 round exhibition because Gonzalez came in 6 lbs over the weight limit. defeated Thomas Dozier (Fresno, California, USA, 2-2, SB 2-1, 135.6, 5'8", 9-15-97, Enn Fairtex, (415) 722-1353) by unanimous decision, 30-26 on all 3 judges cards. defeated Nikole Meath (Stockton, California, USA, 0-3, AMMA: 0-2, 135.6, 5'2", 12-5-89, James Deleon, (209) 670-4632) by KO at in Round 1. Nikole Meath has been issued a 30 day no training and 45 no competition Medical Suspension until May 14th, 2015.
defeated **Pamela Palacios (Stockton, California, USA, 0-1, 117, 5'2", 6-20-87, James Deleon, (209) 670-4632 ) by unanimous decision, 30-26 on all 3 judges cards. Judge Bruce Rasmussen: 29-28, Vigney. defeated **Mitchell Butler (Lafayette, California, USA, 0-1, S: 5-3, 181.8, 4-19-95, Self, (925) 775-8989) by TKO at 1:43 of round 2. Mitchell Butler has been issued a 30 day no training and 45 no competition Medical Suspension until May 14th, 2015.
defeated **Sopaul Nhep (Kent, Oregon, California, USA, 1-2, 123.8, 5'5", 8-29-93, Srab Sroeay, (360) 280-0199) by TKO as bout was stopped between rounds 2 & 3. Sopaul Nhep has been issued a 30 day no training and 45 no competition Medical Suspension until May 14th, 2015. Judge Bruce Rasmussen: 29-28, Ivanov. defeated **Egemen Sanli (San Francisco, California, USA, **2-1, 164.8, 6', 3-21-85, Bunkerd Faphimai, (510) 926-9250) by TKO at 1:24 of round 2. Egemen Sanli has been issued a 30 day no training and 45 no competition Medical Suspension until May 14th, 2015. Judge Bruce Rasmussen: 48-44, McNamee. 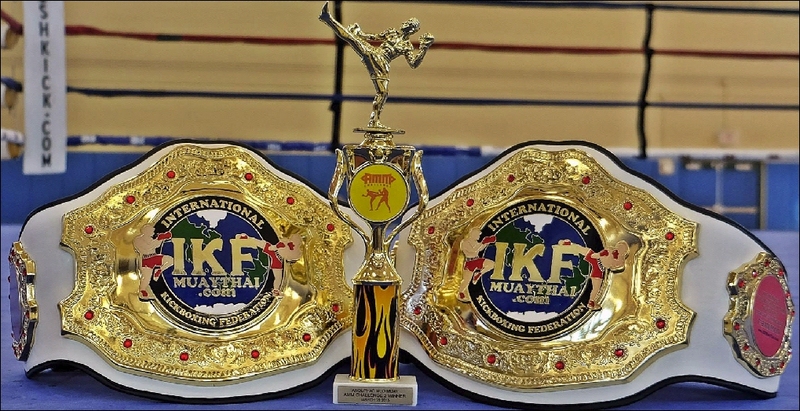 HOWEVER NO ELBOWS TO THE HEAD UNDER IKF CA JUNIOR RULES & BOTH Fighters wear Headgear & Shin Pads. defeated **Preston Sroeuy (Olympia, Washington, USA, 4-4, 68.4, 4'6", 8-26-04, Kru Srab Sroeuy, (360) 280-0199) by unanimous decision, 48-44 on all 3 judges cards. Rodriguez was deducted 2 points in rounds 4 & 5 for Illegal throws by referee Vichai Supkitpol "Kru Rex". Preston Sroeuy was given an 8 count in round 3. No Show with No Call - Possible Suspension.